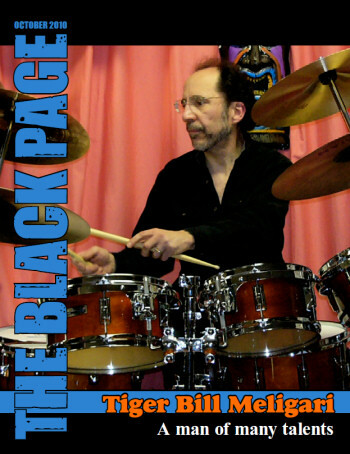 Tiger Bill's Drum Beat drum blog site for Expert Advice on Drumming and Percussion. Hey! I'm Tiger Bill... Welcome to my Drum Site! If you are looking for Free Expert Advice on Drumming from the largest Free Drumming Resource on the Web, you've come to the right place! Well, sort of! This site is in theprocess of being moved over to a new, mobile responsive site. Check it out at TigerBillsDrumBeat.com. 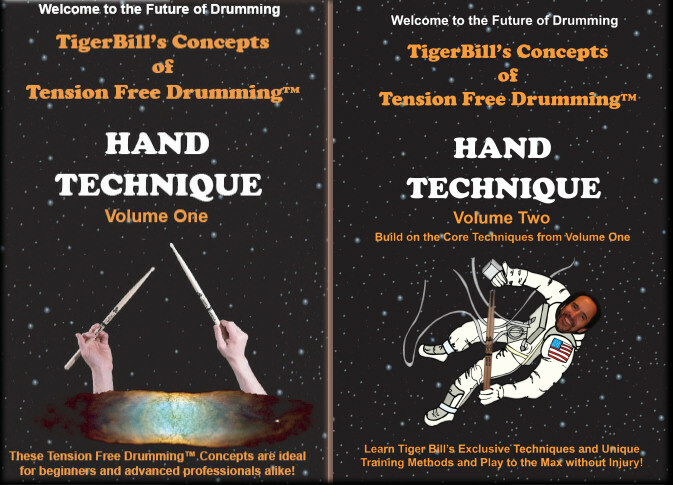 Buy Tiger Bill's Tension Free Drumming DVDs Tiger Bill's incredible TFD Hand Technique system that enables anyone to play at their maximum potential while avoiding the risks of repetitive motion injuries caused by playing under constant tension! Tiger Bill is officially recognized as one of the world's fastest drummers and has proven his skill by winning the NAMM World's Fastest Drummer Competition, where he was clocked at speeds of over 1,000 beats per minute with both his hands and feet! An extremely rare accomplishment. He owes his extreme speed, power, endurance and control to the system he has developed over the past 30 years known as Tension Free Drumming™. Ideal for use in any style of drumming, TigerBill's system is being used by beginners and pros all over the world to help them play at maximum efficiency with minimum effort and without the fear of injuries caused by playing with muscles that are constantly under tension. Click this link to learn how YOU can benefit from Tension Free Drumming™. Click on Our Video Player Below for FREE ONLINE VIDEOS! TAKE AN ONLINE DRUM LESSON with TigerBill! REGISTER NOW FOR YOUR PRIVATE ONLINE WEB LESSON with TigerBill! And Even More Free Drum Lessons from Tiger Bill. Have Your Drum Skills Evaluated by Tiger Bill! If you want to become the best drummer you can be, have your drumming skills evaluated by an expert. 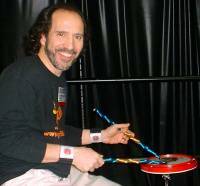 Tiger Bill Meligari has over 30 years experience in all aspects of drumming. Click the above link to learn more and get your personal drum skill evaluation today! Interview with Tiger Bill in The Black Page Magazine! Click Here for the complete archive of Drum Tips! If you're looking for the Best Service and the Lowest Prices on Axis Pedals, Drum Books and DVDs, Pintech e-drums, and much more - Check this out! Click Here for the Lowest Prices on the Best Drum Gear and Lesson Material! Scroll down the left hand column and click on the topic of your choice! It's all free! And, while you're at it, scroll to the top of this page and register as a Free Site Member and you'll receive an valuable drumming resource guide that I created exclusively for my site members... and that's free too! And your personel info is safe with me. I've been on the Web since 1998 and I've never sold or traded personal information with anyone... ever! If you like my site, please share it with your friends. And if there is anything you feel I'm missing, please let me know. I appreciate the chance to make it better! And this is just the beginning of your journey through the world of drums and percussion! Scroll back to the top of this page and explore the many links listed down the left side column. NOTE: Areas of this site are updated daily. Clear the cache on your computer (by clicking Refresh in your browser) before viewing or you'll miss the latest updates. Thanks!